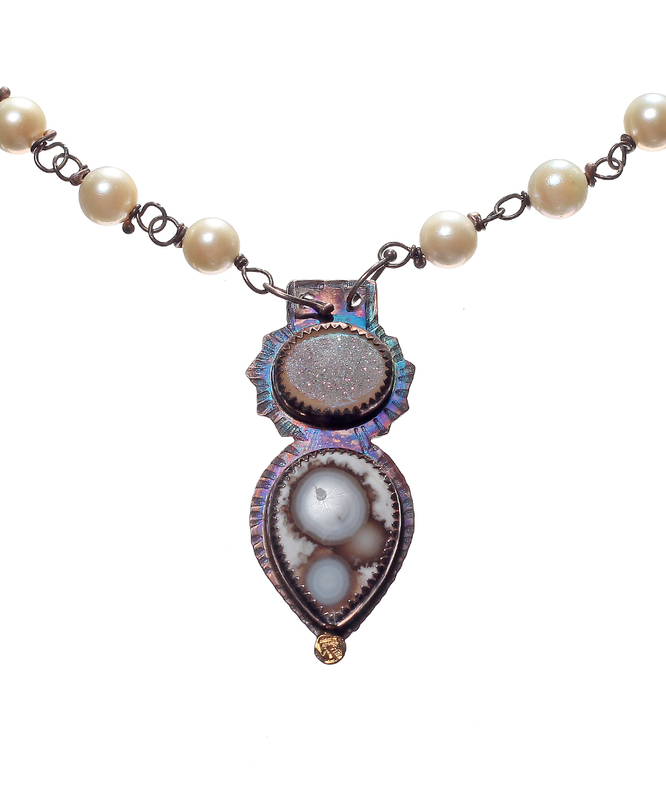 A druzy pendant and pearl chain with 22k detail. 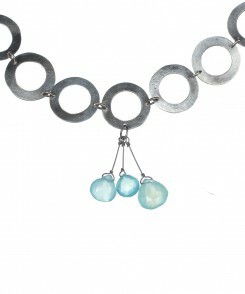 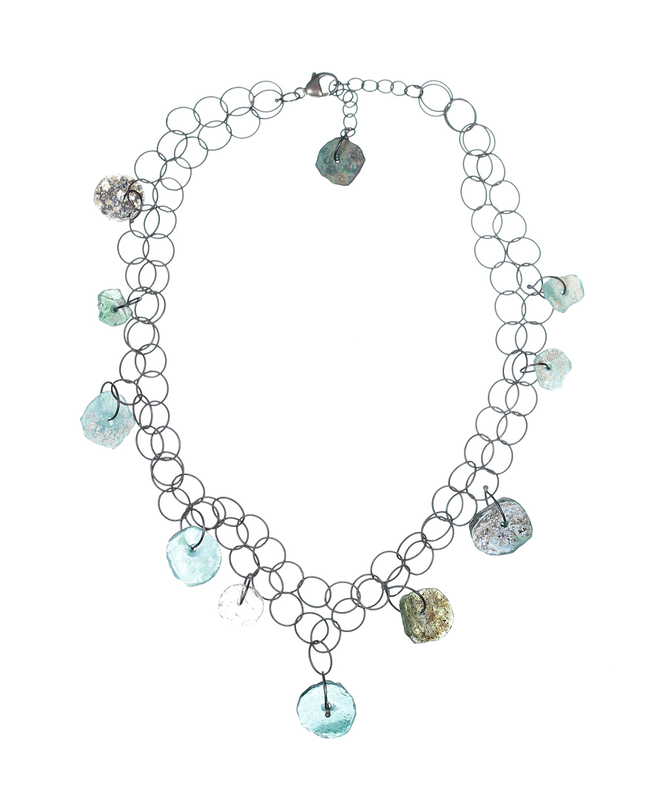 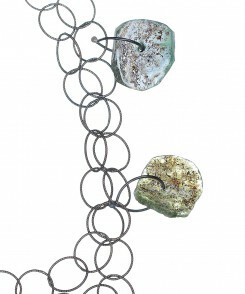 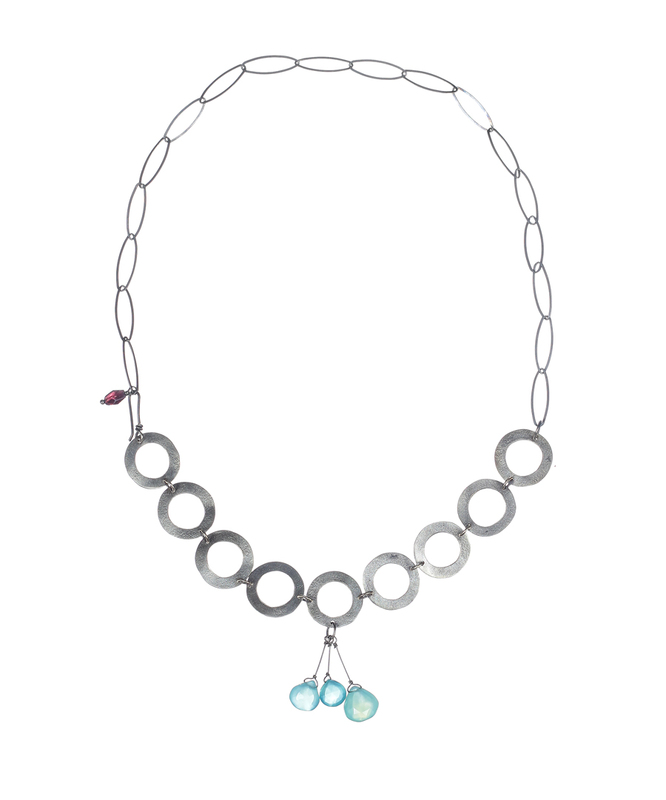 It features an oxidized sterling silver bezel and chain with a 18″ to 20″ adjustable length. 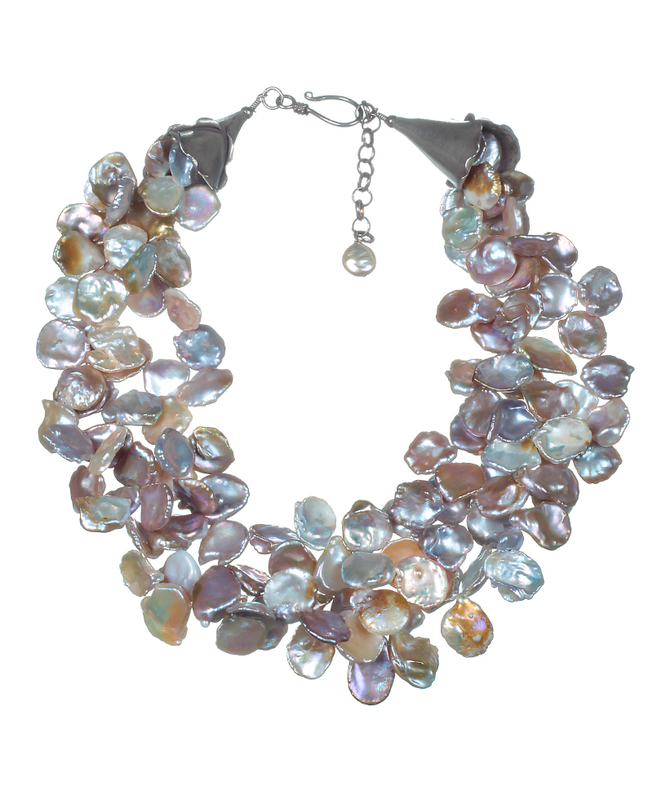 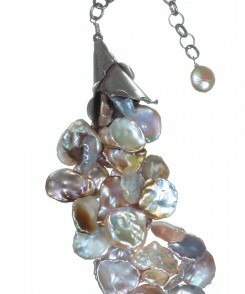 Julie Shaw has been designing exquisite jewelry for over 30 years. 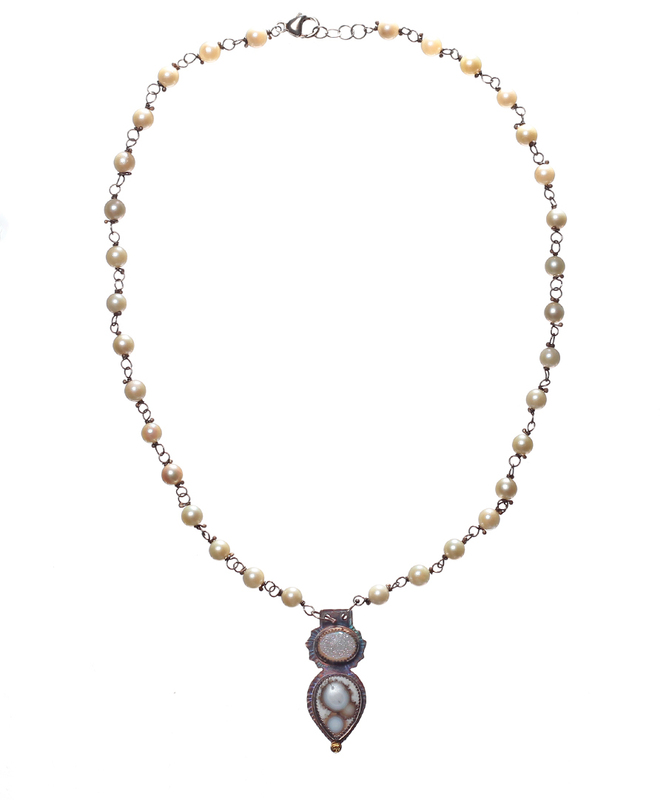 Using sterling silver and occasional gold accents, her creations are magically transformed by a patina that enhances her beautiful stone selections.